Biometric devices used for access control and time-attendance helps to enhance security and productivity of an organization. However, most of them have to compromise between the security it offers and convenience it provides. The compromise could be on having lower accuracy, higher rejection ratio, needing physical contact, hygiene concern and possibility of copying the biometric pattern. 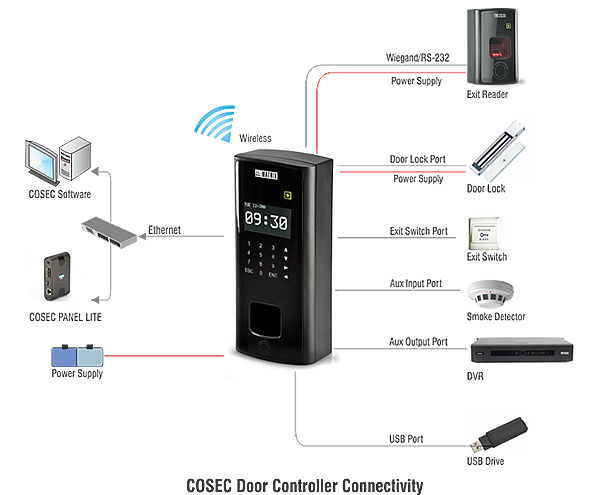 COSEC DOOR PVR is a highly secure and contactless biometric device that works by reading the vascular pattern of the palm vein. These patterns are unique to each individual and exists underneath the skin layer so they cannot be forged thereby making it more secure than any other biometric device. Being contactless and technologically advanced, it is appropriate for places like hospitals, chemical industries, nuclear stations, factories, corporate houses, R&D centers, financial institutes and many others where security and hygiene cannot be compromised.